Architectural precast is guided by many specifications. These specifications range from the process to bid and submit work to the general contractor, architect and/or customer to their inspection of the finish product and acceptance. Please see our production process and diagram below. Production Process Flow - Miller-Mize precast jobs follow a repeatable production process to ensure we manufacture quality precast that meet customer specifactions and expectations. 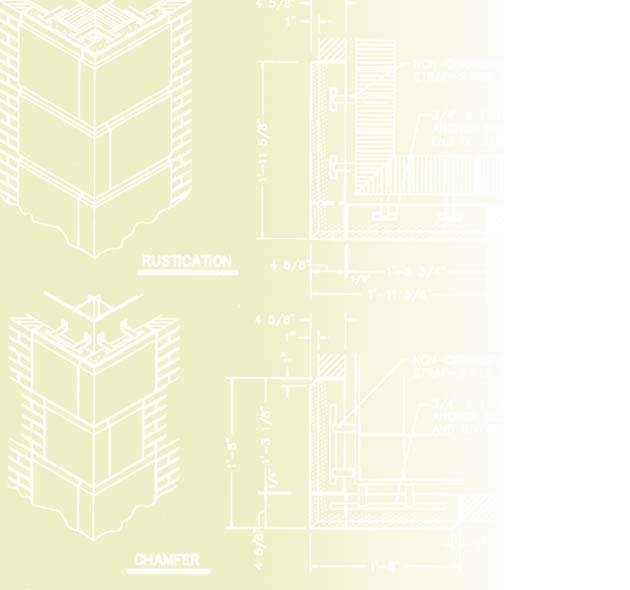 The specs and documents used during a typical precast project begin with architectural and structural drawings, proposal for work, shop drawings (to include erection and production drawings), approval of drawings and samples. During the manufacturing process, agency specifications from ASTM and ACI are used as standards for performance while quality control processes and procedures are controlled through internal managed and the APA plant certification process. The most common specifications used by the precast manufacturer can be viewed below. Color and Finishes can be tailored to meet most project needs. At Miller-Mize Precast, we can match most any color, texture and finish that the project requires. Our typical project uses Portland white cement, local aggregates, some custom colorants and an acid etched finish. However, the use of special aggregates, sandblasting and retardants to meet the custom project requirements is well within our capabilities. See the color samples with their respective finishes on the Architectural Precast Association web site. If you are undecided on which finish to use, review this finishing guide from the APA to help understand design strengths and weaknesses of each. A word of caution when using both a wet mix (precast) and dry tamp mix (cast stone) in a single project, the color and finish can be a little challenging. There needs to be special care taken to ensure the color between the mixes remains consistent. This is difficult but can be accomplished in a single plant like at Miller-Mize. Separating the project across different plants with different aggregates and mixtures can possibly create some inconsistencies in the final product.